What's an ayurvedic-living, ToeSox-wearing, essential-oil using, fair-skinned gal who wants to treat her epidermis well but not with synthetic chemicals to do? Especially when she lives in a semi-arid climate in a city that's a mile closer to the sun than NY or LA? "All of our products are free of parabens, sulfates, petrochemicals, phthalates, dyes and artificial fragrances. We also don't do animal testing and use vegan-based formulas." I've been trying out three products, with formulations touted as natural, rich in antioxidants, vitamins and botanicals, and suitable for all skin types. Here's more information supplied by Block Island Organics. 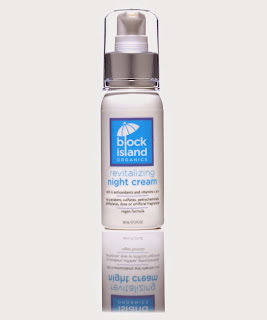 Ultra lightweight, zinc only and vegan formula. Zinc is actually the best UV protector as it offers the broadest UV spectrum protection. 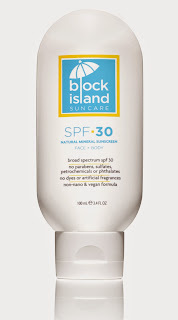 Dermatologists often say zinc is the safest sunscreen ingredient for sensitive skin and babies over six months. It also has antimicrobial properties that help to enhance wound healing. It's even the main ingredient in diaper rash cream. So far, each has lived up to its billing. I'm looking forward to pampering my epidermis through the rest of the spring and all summer. 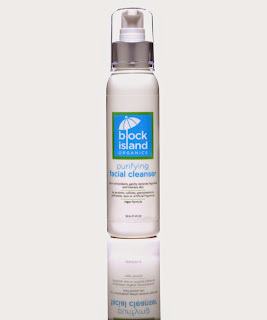 Check out Block Island Organics for yourself.